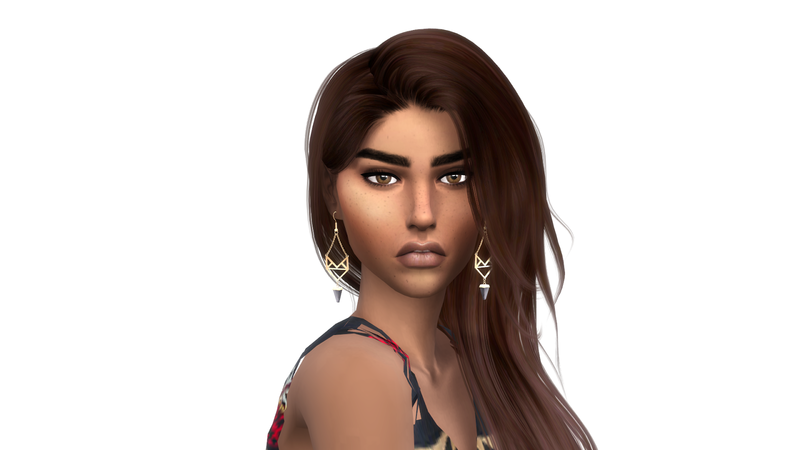 Aiyanna Black, Is a 20 year old Native American woman who grew up on a reservation in Newcrest. Family is her world and creativity is her outlet. While the outdoors is her escape. Aiyanna once a twin, lost her brother tragically in a drowning accident. When they were just kids. She often blames herself for his death, due to being afraid of water and not knowing how to swim. She foolishly jumped into the lake to impress her friends and started to drown. Her brother Ahote helped her to safety and got caught in the waterfalls undertow. Sounds of the majestic Bald Eagle can be heard by his grave. Aiyanna and her family believe its Ahote trying to communicate with them. Speaking of his forgiveness and encouraging them. Aiyanna, although haunted by the death of her brother. She tries her hardest to be positive, spreading love and encouragement with everyone who surrounds her. She hopes one day when she has a family. She will teach her children, about their roots and the story of their uncle and his bravery. For some reason the first hair that adore isnt there, it says theres no url or something, what shall i do boo? What type of computer do you have. Jen, do you know why all of my cc hairs have ugly yellow streaks in them?? I love this story you should bring to a lp. Where can i downlaod the SIM ?